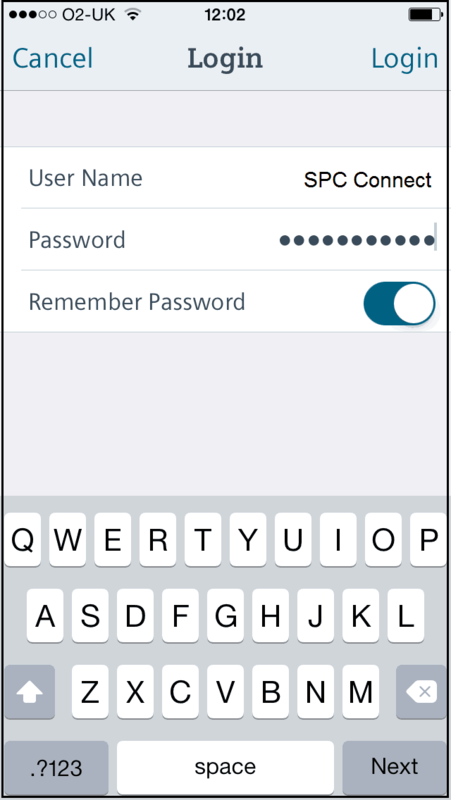 This document describes the process for enabling access to your SPC Panel via the SPC Connect APP using GPRS. It is only available when using Panel firmware V3.8.5 or above, a SPCN320 GSM Module and the following panels SPC4320, 5320, 5330 or 6330. (Default is - https://192.168.1.100) then press Enter/Return. Ensure that httpS is used in the address as SPC uses a secure connection by default. A security message may appear, related to a Certificate authority; this is because Windows does not recognize the SPC panel as a valid TSL (Transport Layer Security) connection. To continue to the Panel settings, click on ‘Continue to this website (not recommended)’ in IE or the option in Chrome, ‘Advanced > Proceed to ….(unsafe)’. 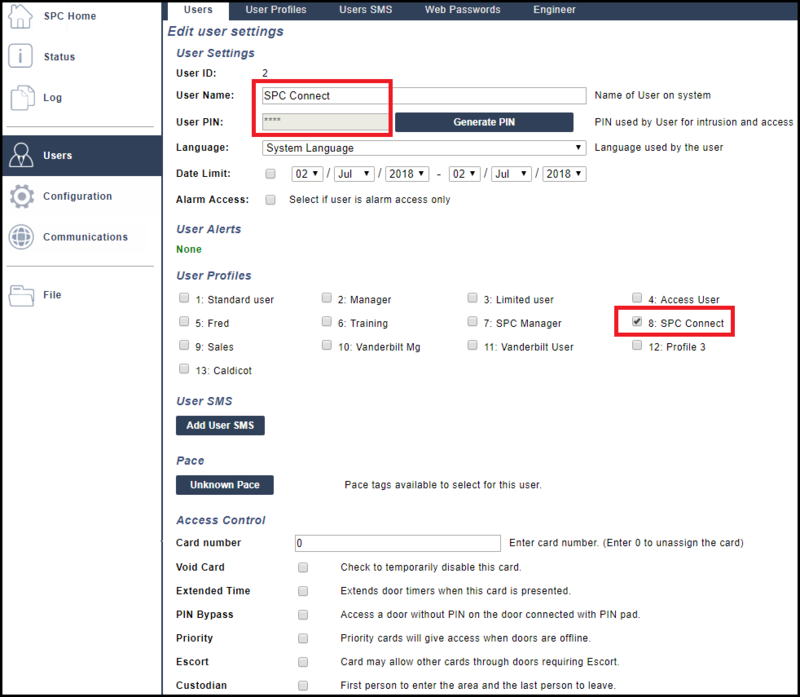 To login, a Manager type User must have granted ‘Engineer Access’ allowing an Engineer to configure the panel settings. At the top right of the page, click on the button to change from Soft to ‘Full Engineer’. The Engineer will now be logged on as Full Engineer and the text and button will turn Orange to confirm. The User Profile used must have a minimum of Web Access enabled for the connection to work. 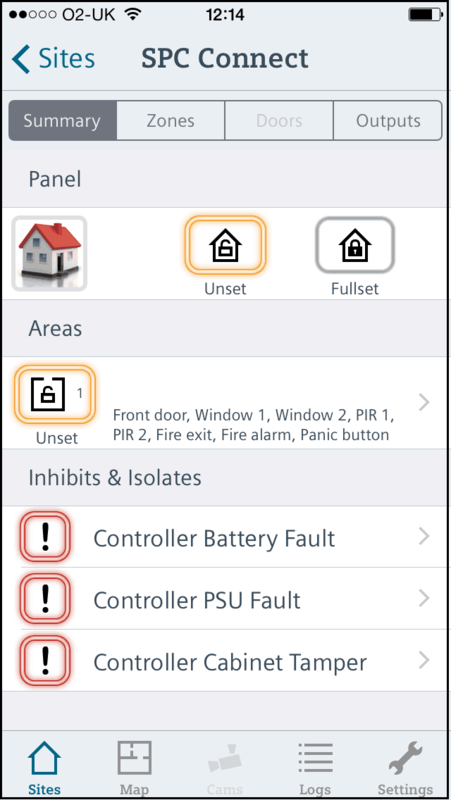 Add any other options that are required for control via the APP. 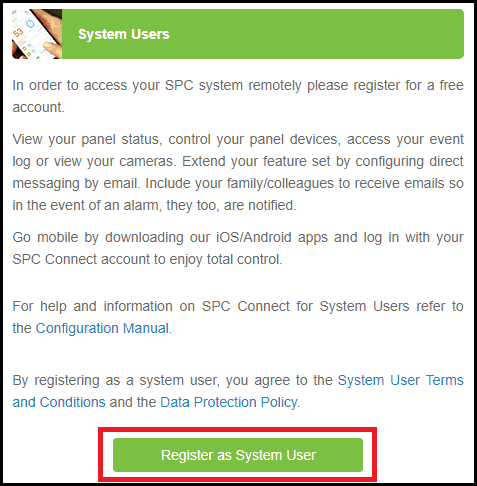 We recommend creating a specific User Profile and User for the SPC Connect account. Assign the User Profile to the User. 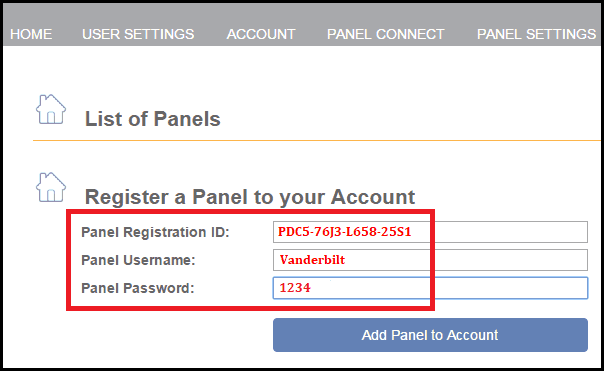 Make a note of the User Name ( Vanderbilt ) and User PIN ( 1234 ) as this will be required later when registering a Panel to your Account on the SPC Connect portal. The GSM must be plugged into the Primary slot / Modem 1 (Left slot nearest edge of PCB). A GSM Module (SPCN320) and a Data Enabled SIM must be fitted onto the panel to get externally to the internet or the connection will not work. GPRS is primarily used as a backup ATP (Alarm Transmission Path) or Connection. 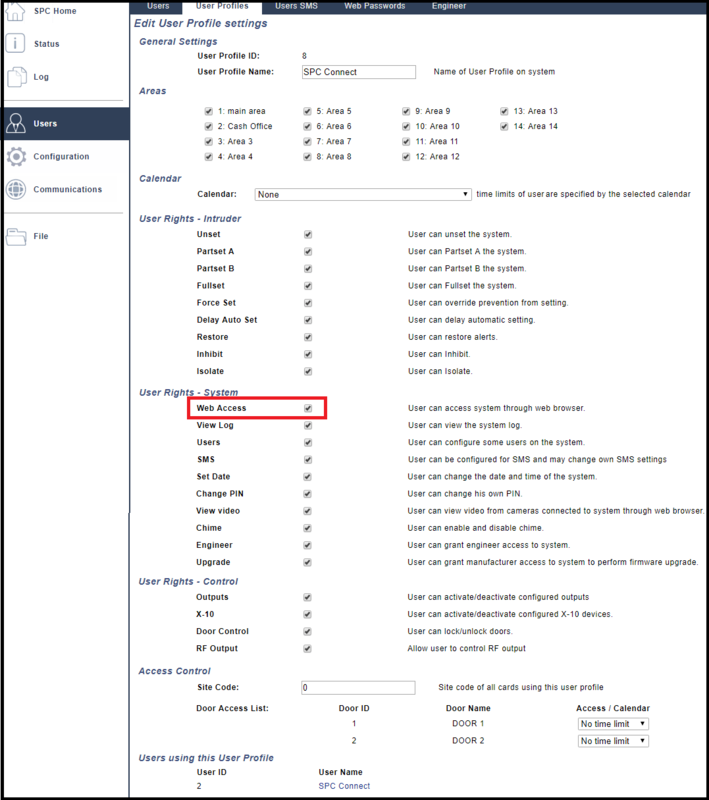 This means that you have SPC Connect ATS (Alarm Transmission System), with Ethernet as the first ATP and then the GPRS as the second ATP in case of network failures. If there is no ethernet then GPRS can be used as the primary connection but is reliant on signal strength and mast connection of the provider. The GSM can now be configured for GPRS. 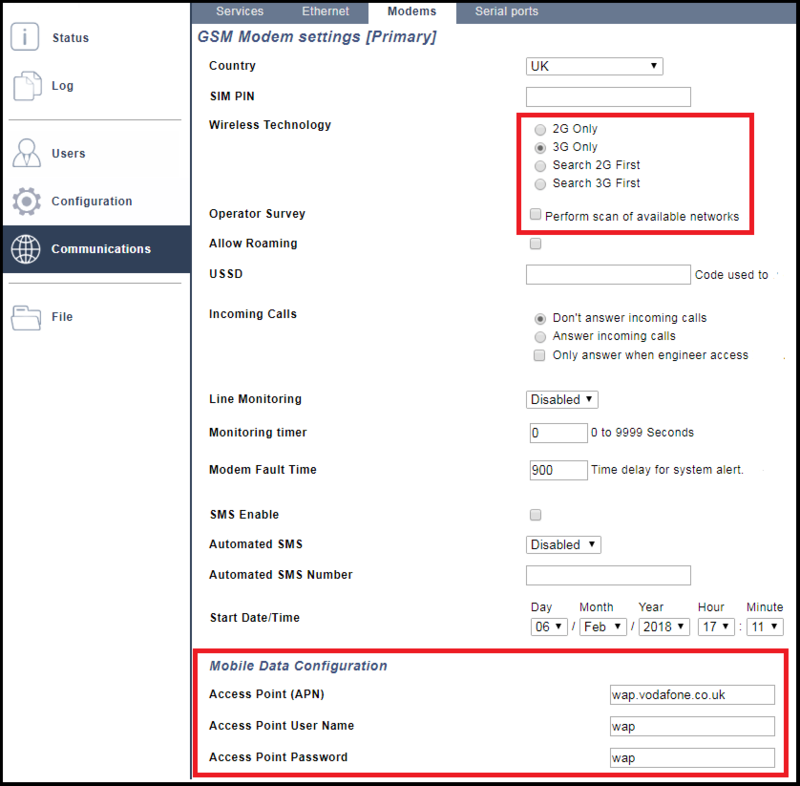 Select how the SIM will connect to the provider and enable roaming if required. 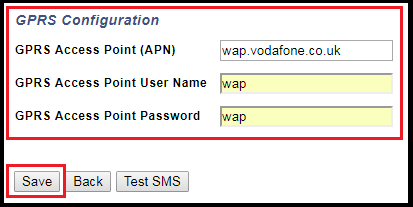 Enter the APN settings given by the provider. The setting used below are for a UK Vodaphone Monthly Contract. These settings will differ for different countries and SIM types. Enter the details and press Save. Edit the SPC Connect ATS. Edit the Primary ATP – 1. 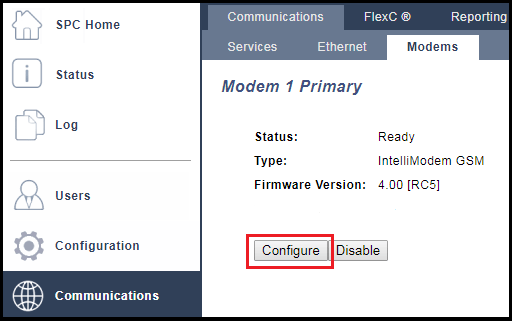 Change the communications interface from Ethernet to GPRS: Modem 1. 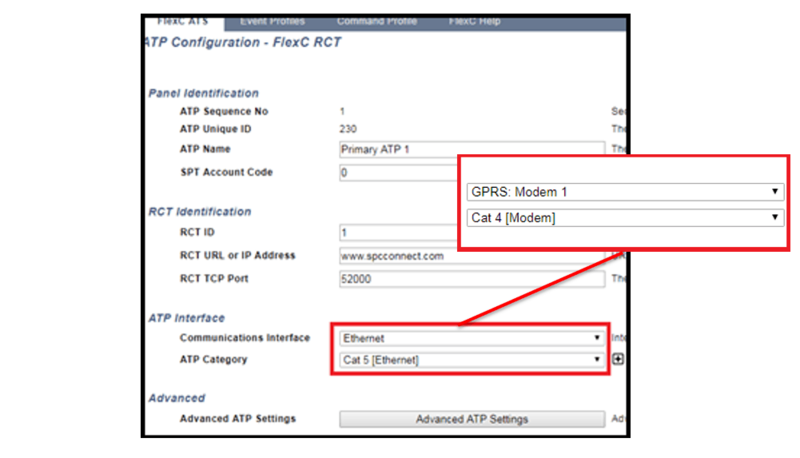 Once the Modem has been selected the ATP Category will automatically change. 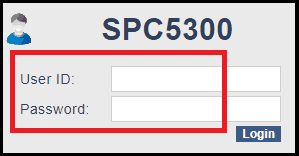 Make a note of the ATS Registration ID ( PDC5-76J3-L658-25S1 ) as this will be required later when registering a Panel to your Account on the SPC Connect portal. The Usename and Password entered here are used to logon to the APP. The email address will be used for Event Notification if enabled on the portal. 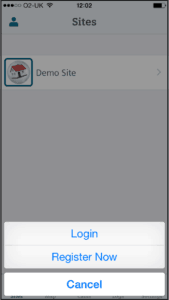 Login and Register the panel to your account using the information saved earlier from the panel setup - Panel ID, User Name & User Pin. The system will display the message below, in green, if the panel has been added successfully. The first account to add the panel will always be added as the ‘Panel Manager’. Connecting to the Panel via the Portal. 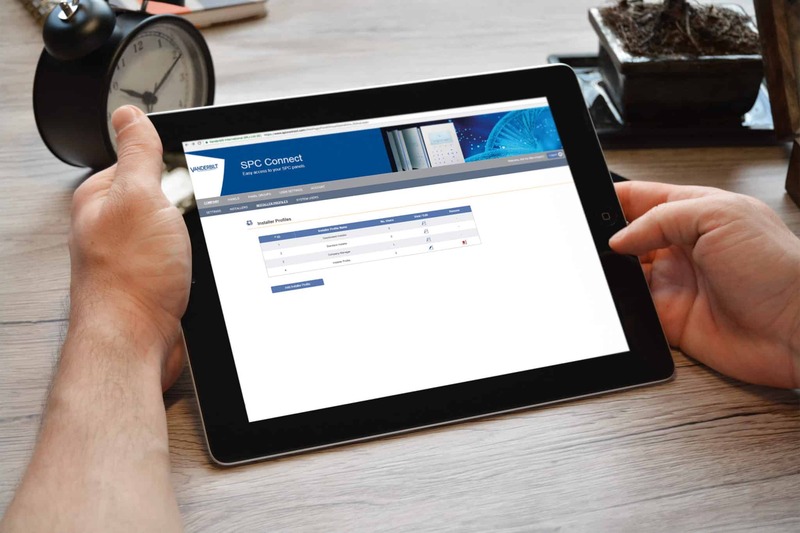 You should now be able to connect to your panel via the SPC Connect Portal. The options available on the browser are dependent on the User ID & Pin entered here. This is limited by the options enabled in the User profile. If you use the Engineer login details then all options are available. 3G Data charges may apply if you are not using a wireless network connection. 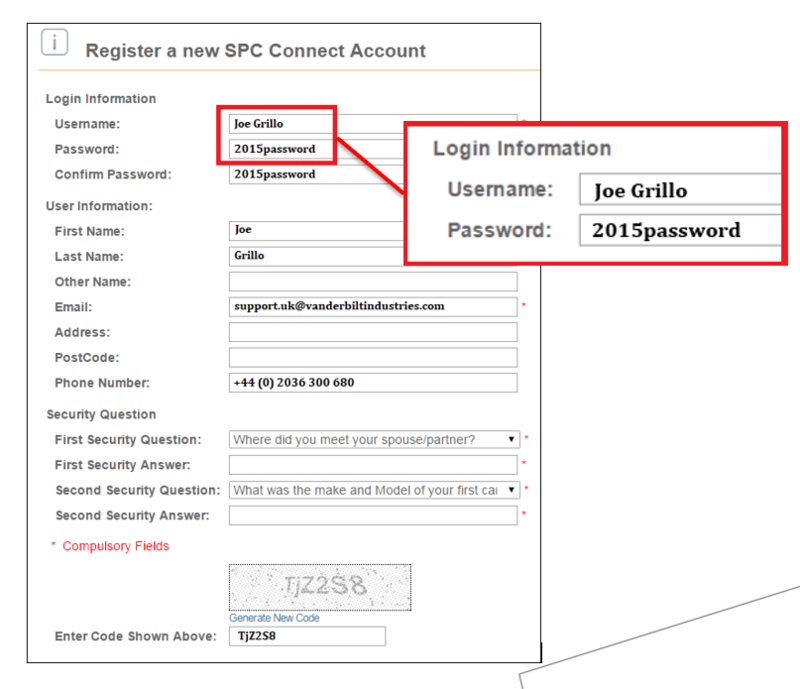 Press Login, then enter the User Name ( Joe Grillo ) and Password ( 2015password ) used to register the panel on the Portal www.spcconnect.com. If the Username and password are correct, then all panels registered on your portal will be added automatically into the list. 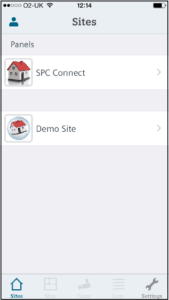 SPC Connect is a USER only application. Engineer functions cannot be used via the APP. associated with a Mapping Gate.